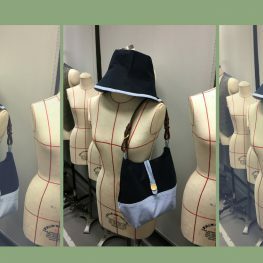 In this course, students will use pattern drafting technique and basic sewing skills to create a bucket hat and a bag. *Applicants who can control industrial sewing machine and sew basic seams and stitches are entitled to exemptions of the first 3 hours of this course and the course fee is HK$1,300. Remark: Applicants who can control industrial sewing machine and sew basic seams and stitches are entitled to exemptions of the first 3 hours of this course and the course fee is HK$1,300.